Occasionally on Saturday morning, after daily mass, the parish says a novena to Our Lady of Good Help. This Novena is only said when daily mass is offered Saturday morning. Saturday morning mass is not always offered. O Mother of Perpetual Help, grant that I may ever invoke your powerful name, the protection of the living and the salvation of the dying. Purest Mary, let your name henceforth be ever on my lips. Delay not, Blessed Lady, to rescue me whenever I call on you. In my temptations, in my needs, I will never cease to call on you, ever repeating your sacred name, Mary, Mary. What a consolation, what sweetness, what confidence fills my soul when I utter your sacred name or even only think of you! I thank the Lord for having given you so sweet, so powerful, so lovely a name. But I will not be content with merely uttering your name. Let my love for you prompt me ever to hail you Mother of Perpetual Help. 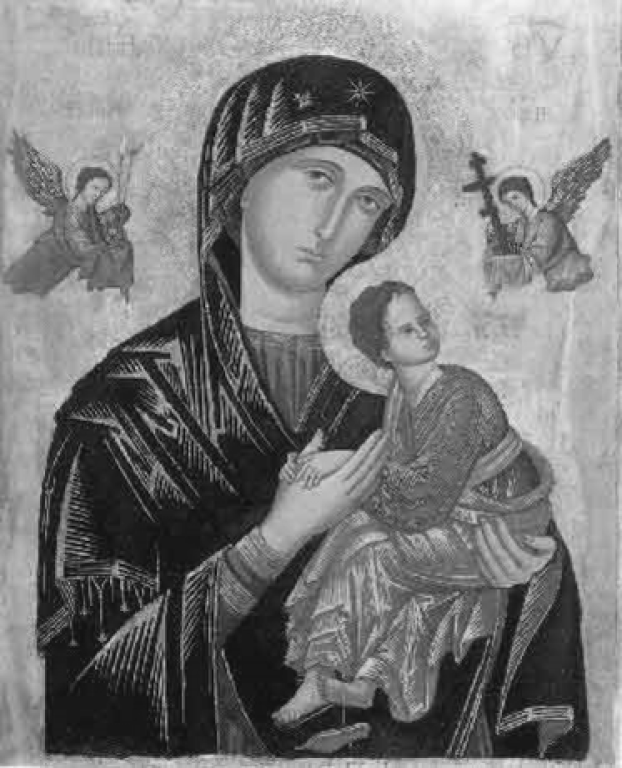 Mother of Perpetual Help, pray for me and grant me the favor I confidently ask of you.